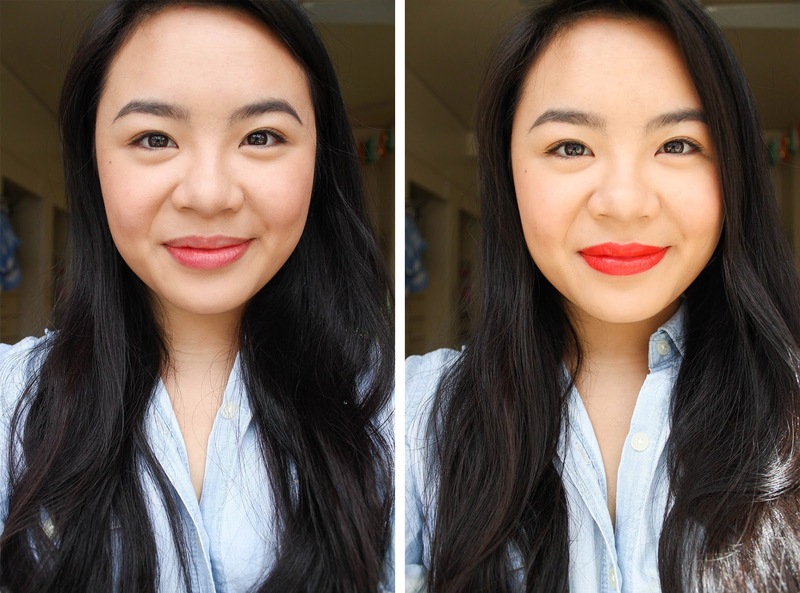 I love that spring time is right around the corner, because I am so excited to start wearing bright lip colors again. I don't wear much makeup on most days, but I'm all about the maximum effect that a bright lip can give with minimal effort. I rotate between a few favorites throughout the spring. Here are the ones I'm looking forward to wearing! 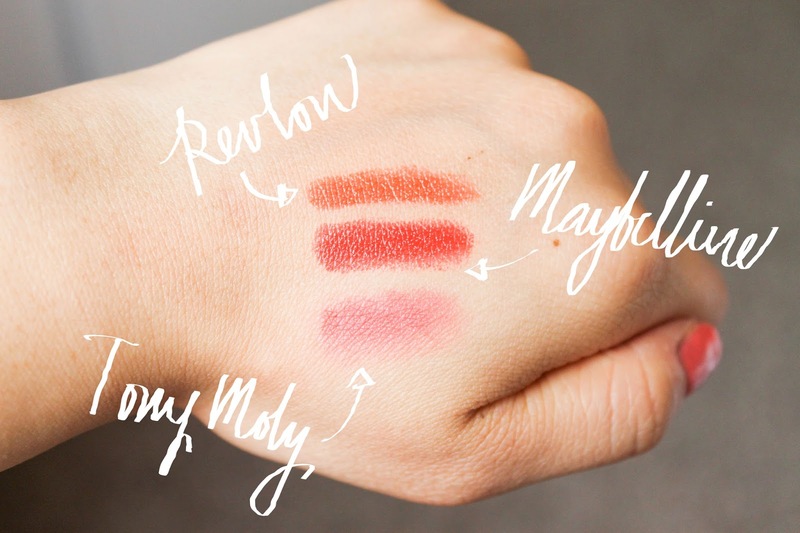 Pictured here are swatches of the Revlon Just Bitten Kissable Balm Stain in Rendezvous, Maybelline New York Color Sensational Vivids Lipcolor in Vibrant Mandarin, and TONYMOLY Delight Tony Tint in #2 Red. I've had this orange Revlon color for quite some time now, but I just started picking it up more often. I love that this minty-smelling product has a twist-up crayon applicator, because it makes the color easy to apply. The orange color isn't too clownish, brightens up my skin complexion, and leaves a nice orange stain after a few hours of wear that isn't uncomfortably drying. Spring 2016 lip trends have been all about vibrant lip colors with minimal face and eye makeup - right up my alley! I'm equally excited to wear this punchy, orange-y red Maybelline color with a spring dress or a plain t-shirt and jeans. Lip stains have been all the talk in the beauty world. 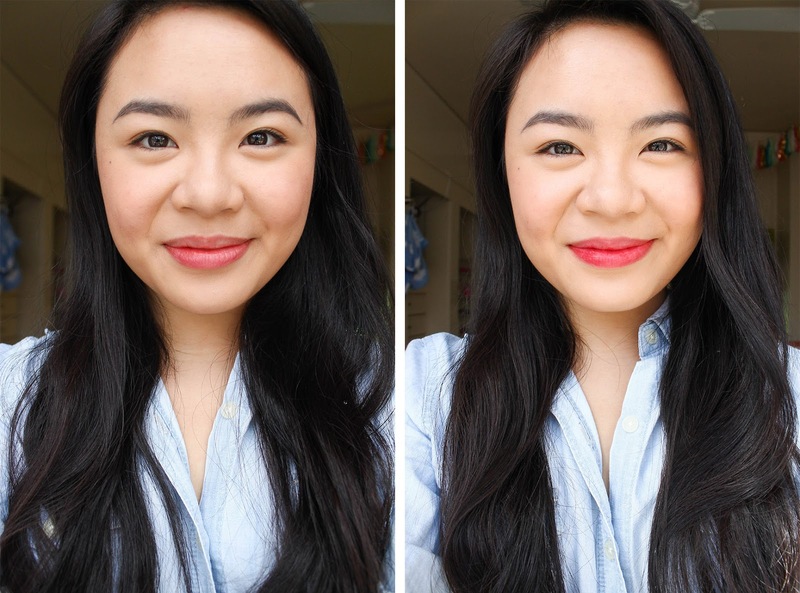 The Korean-brand TONYMOLY lip stain gives just a tint of cherry red color, but it lasts all day long. 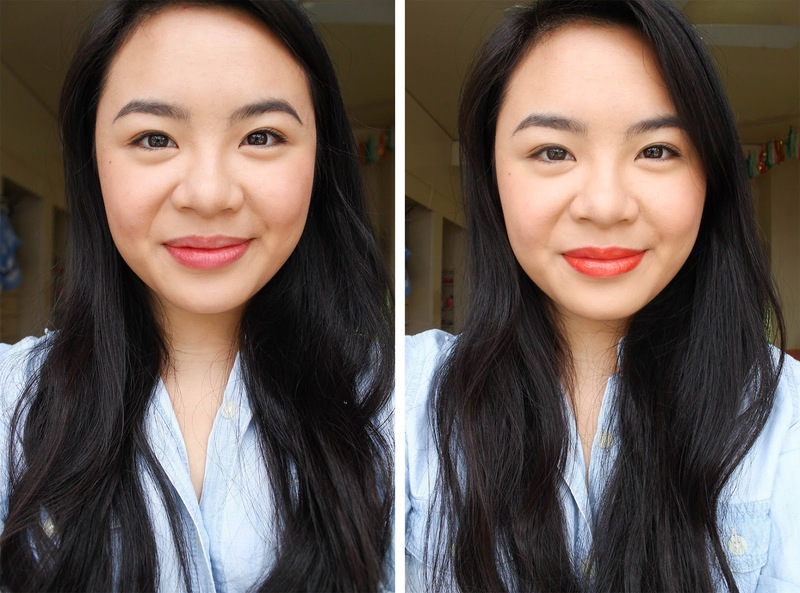 It doesn't seem like much, but I do like the way it gives my lips just a little more color! You only have to apply a dot or two, and it works well on cheeks, too. The only downside of this product is that it stains your fingers! 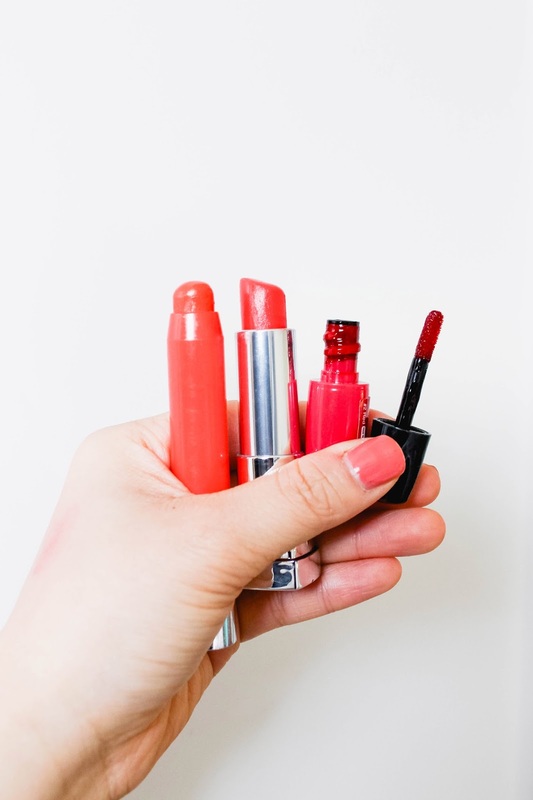 Do you have any lippie favorites you're excited to use for spring? Let me know, because I love trying out new lip colors! Have you missed any of my latest beauty posts? Click here to see my favorite products for everyday wear, and here for my top lip balm picks. I hope y'all are having a great week! I love these looks and the lip stains!